George H.W. Bush Responds To Groping Allegations : The Two-Way The former president "has patted women's rears in what he intended to be a good-natured manner," his spokesman wrote. Actress Heather Lind wrote that Bush "sexually assaulted" her. Former President George H.W. Bush arrives for the coin toss for the 2017 Super Bowl in Houston. Two women say he touched them inappropriately. Former President George H.W. Bush has acknowledged touching multiple women inappropriately in what his spokesman called "patt[ing] women's rears in what he intended to be a good-natured manner." Two women have reportedly accused the former president of groping them while posing for photographs with Bush in recent years. Actress Heather Lind wrote a post on Instagram, which has since been deleted, about an incident from early 2014. "[W]hen I got the chance to meet George H. W. Bush four years ago to promote a historical television show I was working on, he sexually assaulted me while I was posing for a similar photo," Lind wrote in a post Tuesday, according to CNN. "He didn't shake my hand. He touched me from behind from his wheelchair with his wife Barbara Bush by his side. He told me a dirty joke. And then, all the while being photographed, touched me again." Shortly after, New York actress Jordana Grolnick told Deadspin that the former president groped her during a photo op in August 2016 backstage at a Maine theater. "We all circled around him and Barbara for a photo, and I was right next to him," Grolnick told the website. "He reached his right hand around to my behind, and as we smiled for the photo he asked the group, 'Do you want to know who my favorite magician is?' As I felt his hand dig into my flesh, he said, 'David Cop-a-Feel!' 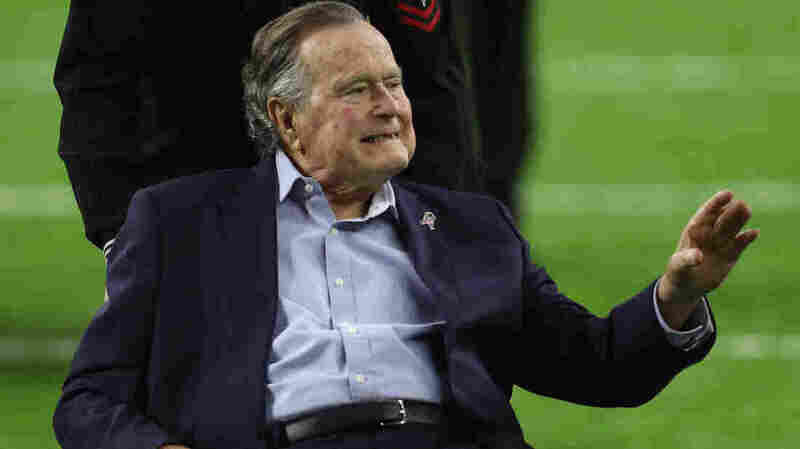 "
"At age 93, President Bush has been confined to a wheelchair for roughly five years, so his arm falls on the lower waist of people with whom he takes pictures. To try to put people at ease, the president routinely tells the same joke — and on occasion, he has patted women's rears in what he intended to be a good-natured manner. Some have seen it as innocent; others clearly view it as inappropriate. To anyone he has offended, President Bush apologizes most sincerely." A flurry of sexual assault and harassment allegations against powerful men have emerged after The New York Times first reported on film mogul Harvey Weinstein paying off sexual harassment accusers. Since then multiple women have come forward and police in Los Angeles, New York and London are investigating allegations that Weinstein sexually assaulted women in those cities. At least 38 women have accused Hollywood writer and director James Toback of sexual harassment, according to the Los Angeles Times. Other prominent men in entertainment, media and politics have been accused of harassment as well; the accusations renew attention to the Access Hollywood recording of President Trump bragging about groping women, which was released just over one year ago. The reports have sparked a resurgence of women posting stories on social media about sexual assault and harassment using the "#metoo" hashtag.